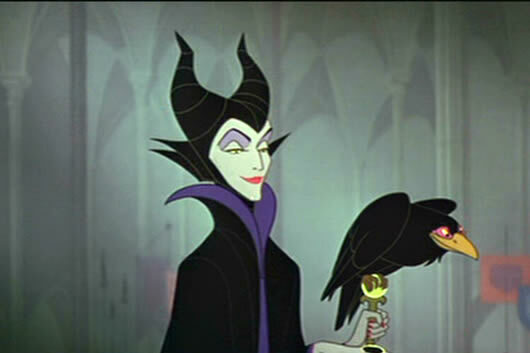 As nearly everyone knows Maleficent is the name of the villain in Disney’s Sleeping Beauty. She is the one who curse Princess Aurora to “prick her finger on the spindle of a spinning wheel and die” before the sun sets on her sixteenth birthday. She did this as she was furious for not being invited to her royal christening. The curse was later changed by one of the fairies visiting to that instead of dying the princess would fall into a deep slumber instead. The term ‘Maleficent’ was chosen as the name of the villain because it literally means ‘wicked’; someone with a harmful or malicious in intent or effect. Maleficent refers to someone who is causing or is capable of producing evil or mischief. The word comes from the Latin ‘maleficent, which in turn comes from ‘maleficus’ both meaning wicked. These words are rooted in the Latin ‘malum’ meaning ‘evil’. Maleficent basically means malevolent or diabolical; i.e. a bad guy, someone who does evil, or wished to harm others. Maleficent is definitely stronger than naughty or mischievous.